Our brand new walk in service is here! Pop in for a custom made herbal remedy made up while you wait! If you are looking for a more natural evidence based approach our experienced Naturopaths and Herbalists Fin Mackenzie and Anita Wilson are available Monday to Saturday to help. They are both experienced in a wide range of health conditions and can make herbal tonics up for acute illnesses like coughs and colds, for PMS type symptoms or even for pain relief for arthritis and muscle aches. 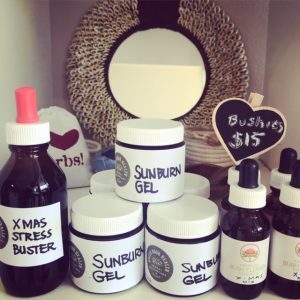 We can also make up creams, salves, gels, ear oils, body products as well as Bush Flower Essences! Call in and say hi! We prefer to work with your doctor and are happy to write doctor letters to keep them informed as to your treatment and reduce any chance of contraindications with any prescribed medications. If you want to book a time book our free 15 minute appointment and get your herbs straight away!